This unique sketch was custom drawn for the specific location of A.H. Reid Chapel at Samford University in Birmingham, Alabama. Send us a picture of your event location and let us hand draw it to create a memorable printed product. Love the image....but need it for a specific invitation, artistic print, program or event? Let us know how you would like to customize or create a layout to make this the perfect piece for your individual taste! 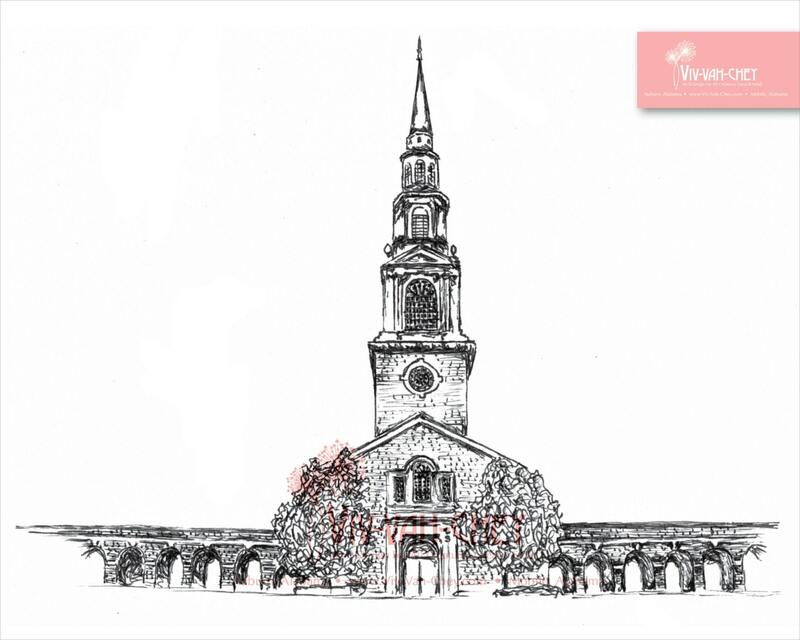 This sketch is a downloadable .tif file sized at 11.08 x 8.337 inches and 300 dpi resolution. It was formatted specifically for a client's wedding program however, we can set it up for print, stationery, programs or any product you have in mind. The watermarks are not present on the purchased download.